According to report published by Grand View Research, high engine oil demand in passenger cars, diesel trucks, and light-duty trucks is expected to drive global automotive lubricants industry growth over the forecast period. 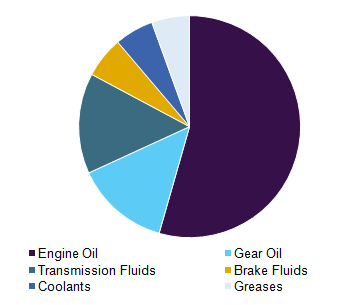 According to a report,“Automotive Lubricants Market Analysis By Product (Engine Oil, Gear Oil, Transmission Fluids, Brake Fluids, Coolants and Greases), Competitive Insights, Strategic Framework, And Segment Forecasts, 2018 – 2025”, published by Grand View Research, Inc., The global automotive lubricants market is expected to reach USD 87.1 billion by 2025. High engine oil demand in passenger cars, diesel trucks, and light-duty trucks is expected to drive global automotive lubricants industry growth over the forecast period. Crude Oil Flow Improvers Market: The crude oil flow improvers market is estimated to grow significantly over the forecast period owing to shale revolution positively affecting the COFI market. Propane Market: Globally, increasing propane–based agricultural engine has been a major factor driving propane market growth. Also, growing demand for clean burning fuels due to strengthening of regulations and Paris Climate Agreement has led to the increased utilization in households globally. Explore automotive lubricants market research database, Navigate with Grand View Compass, by Grand View Research, Inc.